Becoming a homeowner is a big step with big rewards. However, it can also be a challenge, especially when it comes to saving for a down payment. Thanks to a new law that goes into effect in 2019, Alabamians will be able to save for a down payment with the First-Time Homebuyer Savings Account Program, a tax-free savings account dedicated to the purchase of your first home. It also applies to those re-entering the housing market if you haven't owned a home in the last 10 years. Individuals or couples can open one of these tax-free savings accounts at any local bank, credit union or other fiinancial institution in Alabama. The principal deposits and earnings will be deductible on your state income taxes. Savings from the account can be used to pay for the down payment and/or closing costs for the purchase of a single-family dwelling. Many people believe that they need to put 20% down to purchase a home. The average down payment is actually closer to 11%. In many cases, the down payment can be even lower than that. 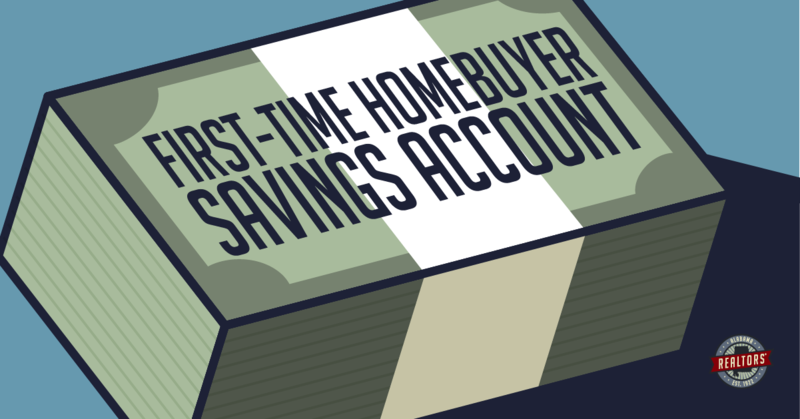 If you want own a home, opening a tax-free savings account through the First-Time Homebuyer Savings Account Program is an important first step in making your dream a reality.